Has The Ultimate Bacteria Been Found? Bible students have always been perplexed by the Old Testament genealogies that claim ultra-long life spans for the first recorded humans. For example, Adam was said to have lived 930 years. Methuselah lived even longer, topping out at 969 years. Methuselah was Noah’s grandfather. Noah lived 950 years. But after this, the life spans of the descendants began to taper off. Was there some special reason people lived such long lives? Were the Bible stories incorrect? How could this period of time when people allegedly lived such long lives have happened? Russian scientist Anatoli Brouchkov, head of the Geocryology Department at Moscow State University, may have found the answer to these age old questions. As global warming has melted away the permafrost in the Siberian tundra, ancient multi-million-year-old bacteria has been released. Some of it is amazingly still alive. Brouchkov claims one special bacterium, which he named Bacillus F, has not only popped back to live, it has been found to have amazing reproductive powers in animals and even humans. Brouchkov knows this because he said after months of testing the bacteria on mice and other creatures he dared to inject himself with it. It may take a few hundred years to find out of Brouchkov is right about his theory. But since taking Bacillus F into his own body about two years ago, he says he has experienced improved health, has avoided the usual winter bouts with influenza and colds, and just feels fine. The same thing is true among the test creatures in Brouchkov’s lab. While he is not joining the European media in calling Bacillus F an elixir of eternal life, Brouchkov does believe the bacteria may hold a key to longevity. He is deeply involved in studying the tiny little organisms and finding out what makes them tick . . . and why they are showing signs of being so beneficial to Earth’s living animals. “We have to work out how this bacterium prevents ageing. I think that is the way this science should develop. What is keeping that mechanism alive and how can we use it for our own benefit,” Brouchkov was quoted as saying. He admits that injecting Bacillus F into his own body was a risky and certainly an unscientific thing to have done. But after testing the bacterium on mice and fruit flies, and realizing that the stuff is already showing up in trace amounts in the regional water as the permafrost melts, he didn’t think there was going to be any great danger. “The permafrost is thawing and I guess these bacteria get into the environment, into the water, so the local population; the Yakut people, are getting these cells with water.” He said the local people appear to live longer than people in other parts of the world so the bacteria may already be having a positive effect on them. He admits the self-ejection “wasn’t quite a scientific experiment, so I cannot professionally describe the effects. “But it was quite clear for me that I did not catch flu for two years. Perhaps there were some side-effects, but there should be some special medical equipment to spot them. Of course, such experiments need to be conducted in clinic, with the special equipment and statistics. Then we could say clearly about all the effects,” Brouchkov said. In addition to its effect on the mice and his own body, Brouchkov said additional experiments have shown that Bacillus F appears to hold a key to fertility. He has discovered that older female mice are reproducing after they stopped being able to. 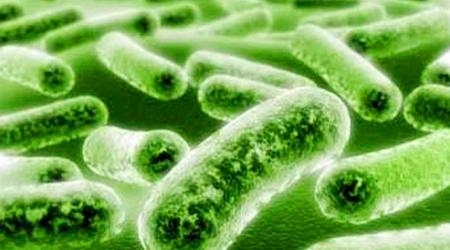 The bacteria also appears to heal living plants. If the bacteria does, in fact, work as Brouchkov claims, and researchers succeed in enhancing its power, it could have a powerful impact on the world. Unfortunately, it also stands to make whatever pharmaceutical company that seizes its patent very rich. Imagine what people might pay for a shot of a substance that will grant them an elixir of a long and healthy life. Of course, it may be difficult for any person or corporation to seize control of Bacillus F. If it is literally seeping out of the ground and getting into the drinking water all over Siberia, the stuff appears to already be free for a cold drink of water. Imagine trying to declare that an illegal substance. ​But then, governments and pharmaceutical companies have done a good job of making a weed called marijuana illegal.